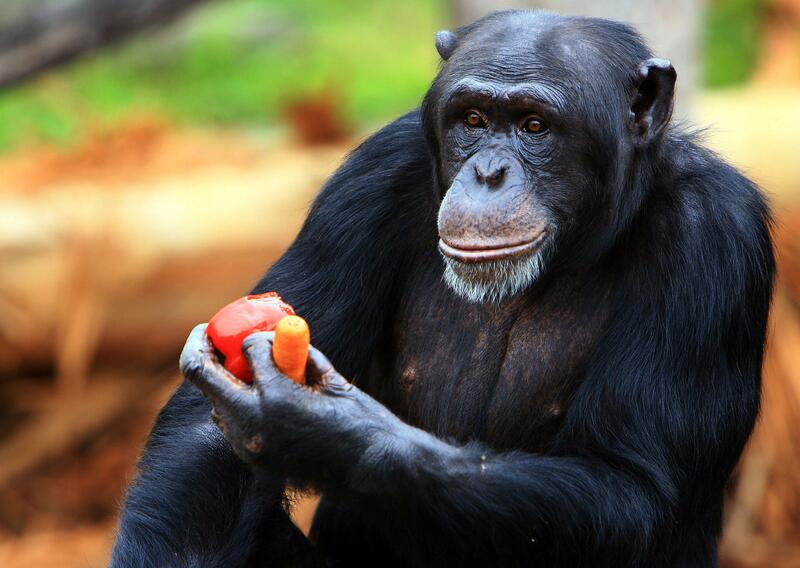 Chimpanzees have brain power to cook study finds. How’s that New Year’s resolution to cook more and eat out less going? Here’s a quick guilt trip to get you back on track: Researchers found that chimpanzees, like you, have the mental ability to cook for themselves. The only problem is that chimps, also like you, lack the fire to do it. In your case the grocery store is too far; in the chimps’ case the roadblock is they literally cannot create fire on their own. “The findings, based on nine experiments conducted at the Tchimpounga Sanctuary in Republic of Congo and published in Proceedings of the Royal Society B, suggest that chimps have all the brainpower needed to cook, including planning, causal understanding, and ability to postpone gratification,” according to Reuters. “Surprising as it may seem, even boiling an egg requires advanced mental skills. Whereas other animals tend to start eating whatever food they find or hunt straight away, humans can store and cook their food, even if we are fairly hungry, because we know that if we wait what we eventually eat will taste better,” the BBC notes. “We invented this magic cooking device,” [study author] Dr. [Felix] Warneken explained in an interview: two plastic bowls that fit closely together with pre-cooked food hidden in the bottom tub. When a chimpanzee placed a raw sweet potato slice into the device, a researcher shook it, then lifted the top tub out to offer the chimp an identical cooked slice of sweet potato. It was known that chimps prefer cooked food, but it was an open question whether chimps had the patience to wait through the pretend “shake and bake” process. And, the researchers wanted to know if the animals could understand “that when something raw goes in there it comes out cooked,” said Dr. Warnaken. If that doesn’t seem fair because, obviously, anyone would cook slices of sweet potato whenever they pleased if they possessed such a “magic cooking device,” don’t worry—you’re still way better at ordering Seamless than a chimp.